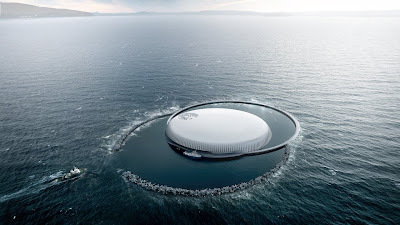 Norwegian based Snohetta Architects released this incredible conceptual study of an Ocean Space Center. 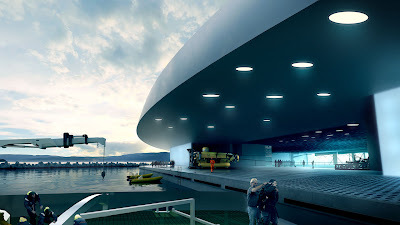 The Ocean Space Center will be a marine technology center of 16000 m2 situated in the sea outside Trondheim in Norway. 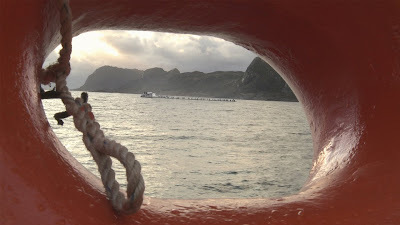 The Ocean Space Center, would provide researchers with the facilities needed to study an array of marine and maritime topics, from ship design, to renewable energy production and fish farming. Such a center would enable researchers to, “Develop the knowledge that is needed to contribute to solving the global challenges the world faces", according to the Norwegian government. 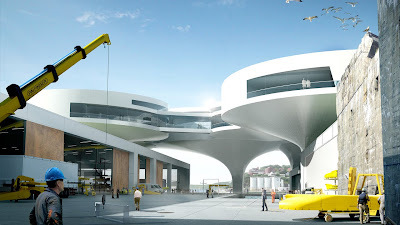 This spectacular modern architectural structure will have an incredibly beautiful Space Age form with rounded curves. 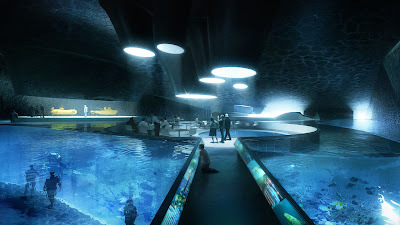 The project will cost about 9-10 billion NOK and the Norwegian Government will now initiate a two-year concept study which will hopefully lead to the actual construction.